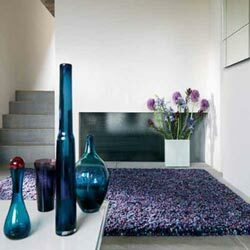 Tashen shaggy pile rugs are a personal favourite and one of our best selling wool ranges. The use of thick felted wool gives the Tashen range a chunky appearance and soft feel, this combined with fashionable blended colours adds up to a stunning handmade shaggy rug. Tashen rugs are made in India from 100% New Zealand wool the pile weight is 3000 gr/m2. Tashen rugs can be custom made to your required size.